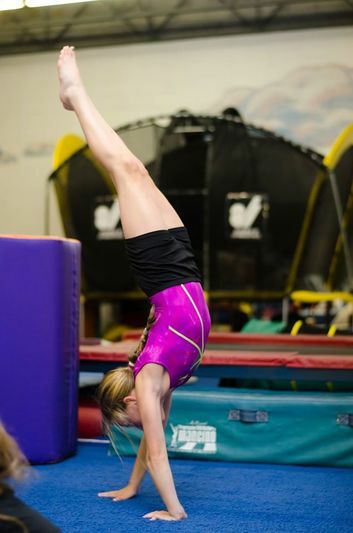 Advanced classes continue to build on the skills your child has acquired in gymnastics. More challenging skills and drills will be taught, in addition to perfecting previously learned skills. Our goals for these classes remain the same: that your child associates fitness with fun and keeps your child excited about fitness and gymnastics challenges. Your child will be encouraged to try new skills and conquer any fears, increasing self-confidence in the process. These classes will focus even more on strength exercises and flexibility than the beginner recreation classes. 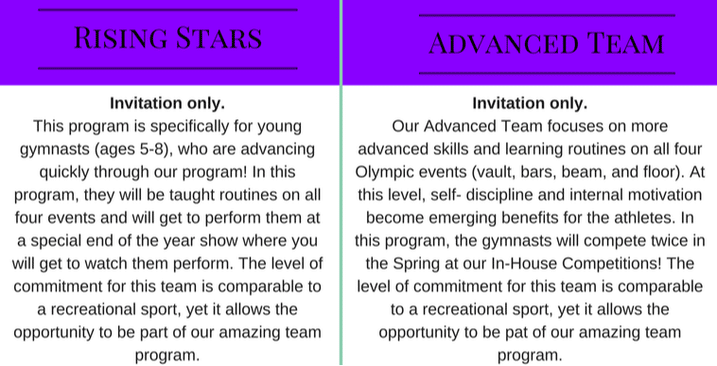 These classes are by invitation from your child’s coach or the program director. For ages 6-14.